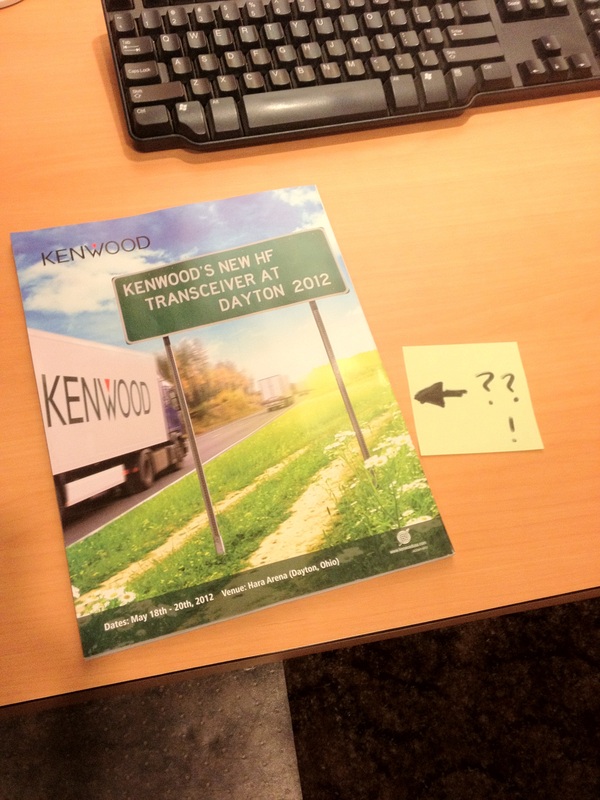 Kenwood took out a full page back cover ad in this month’s QST hinting at a new HF rig being unveiled at Dayton. What could it be? Another super multi-kilobuck uber contester rig? A KX3 competitor? A fun little rig like the Yaesu FT-817? Inquiring minds want to know! oh boy, another HF radio!. At Atlanta Radio Club’s April Meeting Bob Heil did a talk over skype. At the end he mentioned the radio and that he had a part in doing something special for it. Of course that is all he would say.